Hillary Clinton blamed the Electoral College for her stunning defeat in the 2016 presidential election in her latest memoirs, "What Happened?" Some have claimed that the Electoral College is one of the most dangerous institutions in American politics. Why? They say the Electoral College system, as opposed to a simple majority vote, distorts the one-person, one-vote principle of democracy because electoral votes are not distributed according to population. Many people whine that using the Electoral College instead of the popular vote and majority rule is undemocratic. I'd say that they are absolutely right. Not deciding who will be the president by majority rule is not democracy. But the Founding Fathers went to great lengths to ensure that we were a republic and not a democracy. In fact, the word democracy does not appear in the Declaration of Independence, the U.S. Constitution or any other of our founding documents. How about a few quotations expressed by the Founders about democracy? In Federalist Paper No. 10, James Madison wanted to prevent rule by majority faction, saying, "Measures are too often decided, not according to the rules of justice and the rights of the minor party, but by the superior force of an interested and overbearing majority." John Adams warned in a letter, "Remember Democracy never lasts long. It soon wastes, exhausts and murders itself. There never was a Democracy Yet, that did not commit suicide." Edmund Randolph said, "That in tracing these evils to their origin, every man had found it in the turbulence and follies of democracy." Then-Chief Justice John Marshall observed, "Between a balanced republic and a democracy, the difference is like that between order and chaos." The Founders expressed contempt for the tyranny of majority rule, and throughout our Constitution, they placed impediments to that tyranny. 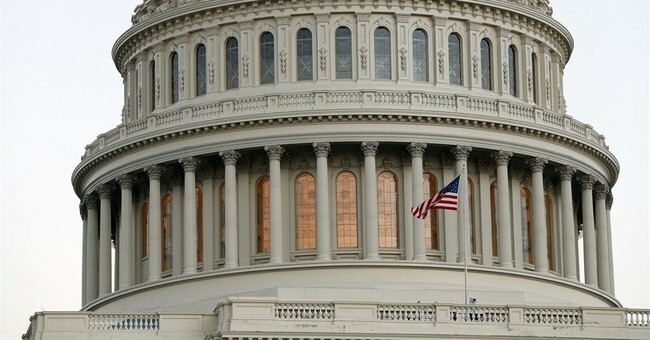 Two houses of Congress pose one obstacle to majority rule. That is, 51 senators can block the wishes of 435 representatives and 49 senators. The president can veto the wishes of 535 members of Congress. It takes two-thirds of both houses of Congress to override a presidential veto. To change the Constitution requires not a majority but a two-thirds vote of both houses, and if an amendment is approved, it requires ratification by three-fourths of state legislatures. Finally, the Electoral College is yet another measure that thwarts majority rule. It makes sure that the highly populated states -- today, mainly 12 on the East and West coasts, cannot run roughshod over the rest of the nation. That forces a presidential candidate to take into consideration the wishes of the other 38 states. Those Americans obsessed with rule by popular majorities might want to get rid of the U.S. Senate, where states, regardless of population, have two senators. Should we change representation in the House of Representatives to a system of proportional representation and eliminate the guarantee that each state gets at least one representative? Currently, seven states with populations of 1 million or fewer have one representative, thus giving them disproportionate influence in Congress. While we're at it, should we make all congressional acts be majority rule? When we're finished with establishing majority rule in Congress, should we then move to change our court system, which requires unanimity in jury decisions, to a simple majority rule?